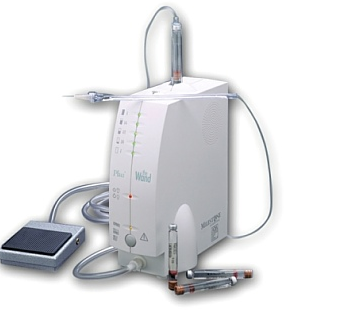 The Wand Plus is a computer controlled local anaesthetic delivery system. It is an alternative to the traditional needle and syringe anaesthetic and allows patient to have numb teeth without having numb lips, cheeks or tongue. It is a perfectly safe method of anaesthetic delivery, suitable for people of all ages and uses the same local anaesthetics that are used in the traditional needle and syringe methods. The Wand is used extensively in the USA, Europe, South Africa and in Australia since 2003. It is much gentler on the tissues and pain free in most situations, so patients tend to feel more comfortable during and after their dental treatment. The local anaesthetic can be delivered anywhere in the mouth to give a more comfortable and more predictable anaesthetic. It is ideal for patients who fear the injection or who have trouble going numb with traditional injections. Schedule your appointment with us now Book Here! Dental Implants – Are They For You? Teeth Cleaning – Why Should I Get My Dentist to Clean My Teeth? © 2019 Coburg Dental Group.